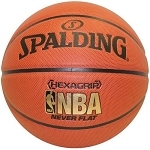 Set up a great system for your home basketball court with this Spalding 88351 In Ground basketball goal. 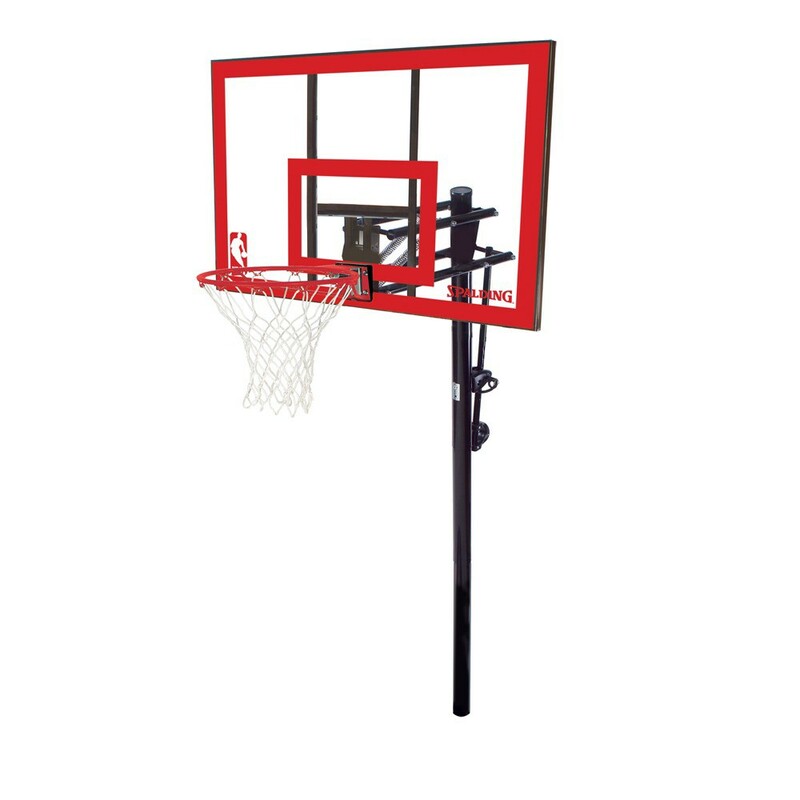 This basketball system features a 44 inch polycarbonate backboard, a Slam Jam rim, a 3.5 inch diameter round pole, and an adjustable-height backboard. Polycarbonate backboards provide a durable material that will provide you years of use. The Slam Jam rim is is spring loaded to help absorb impact on top of the rim. 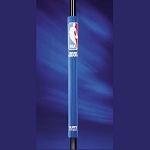 The round pole is the largest round pole available for a Spalding basketball hoop. Lastly, even young players will be able to start shooting sooner on this basketball goal with its adjustable-height backboard. The backboard is adjustable using the Exacta Height adjuster, which moves the rim height up and down in 6 inch increments from 7.5 feet to 10 feet. Backboard material of construction: polycarbonate. Polycarbonate backboards hold up well to abusive and aggressive use. 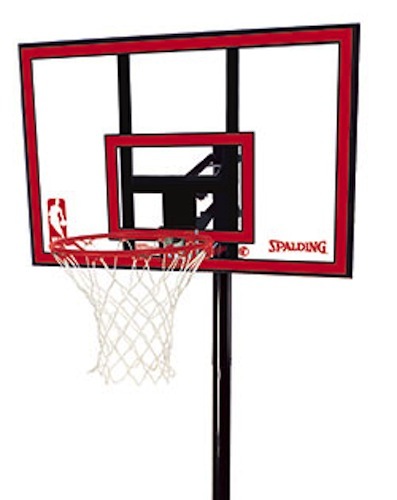 Backboard dimensions: 44 inches W x 28 inches H.
This backboard size is ideal for beginning to beginning level basketball players. Comes with the Pro Slam breakaway rim. The rim is made with 5/8 inch heavy duty solid steel. Backboard framed in metal to improve rebound and longevity of the system. Backboard is adjustable up and down using the Exacta Height lift mechanism from Spalding. The Exacta Height adjuster uses a broomstick to activate the mechanism. 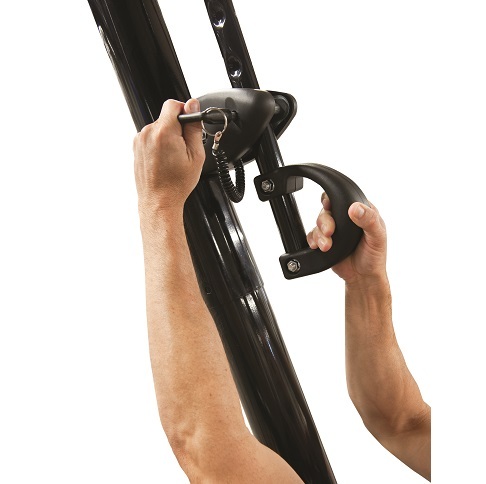 Exacta Height adjusts the rim height from 7.5 feet to 10 feet in 6 inch increments. Shipping weight: about 82.5 lbs. Shipping dimensions: 48 inches x 31.1 inches x 5.9 inches. Fast Shipment and Great Product., Thanks a million. Q: Hi, We have a Huffy Sport NBA backboard, but it cracked and has now broken - we put the pole up ourselves. Can we use this backboard with a normal pole? If not, do you have another suggestion. A: We have many brackets that mount to 3.5" round poles and a few that mount to 4 x 4 square poles. 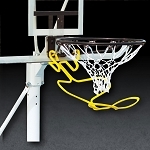 Each of those brackets (model 316 for example) explains which backboards are compatible and which type of poles they fit on. A: Please call 800-558-5234. They will assist you in troubleshooting that. Q: How can I replace the backboard if it breaks? 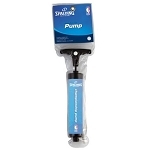 Q: I LOVE THE PRODUCT BUT I'VE ONLY HAD IT 2 SUMMERS AND THE BACKBOARD HAS FALLEN APART. I CANT SEEM TO FIND RECEIPT BUT HAVE MANUAL AND ASSEMBLY PAPERS. I KNOW IT HAS A 5 YEAR WARRANTY. CAN YOU HELP ME OUT? A: You can obtain it by calling 800-558-5234. Q: Is there an advantage to using the ground sleeve? Can I remove it if we need to? A: Yes, exactly. The ground sleeve allows you to remove it if you ever decide to move to a new home or sell the basketball system. You can simply purchase a new sleeve for the new location if you wish. 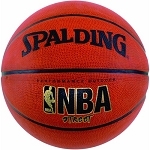 Fast Shipping: Orders for the Spalding 88351 generally leave the warehouse within 1-2 business days. Dimensions: 48" x 31" x 6"